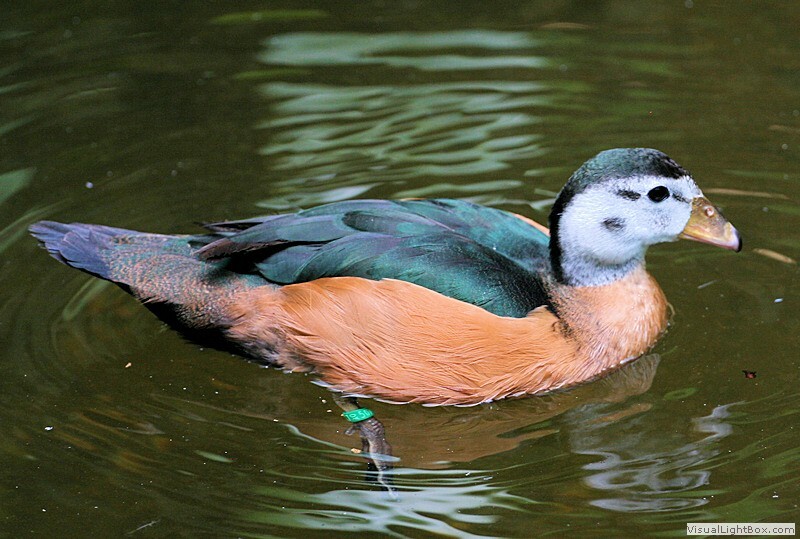 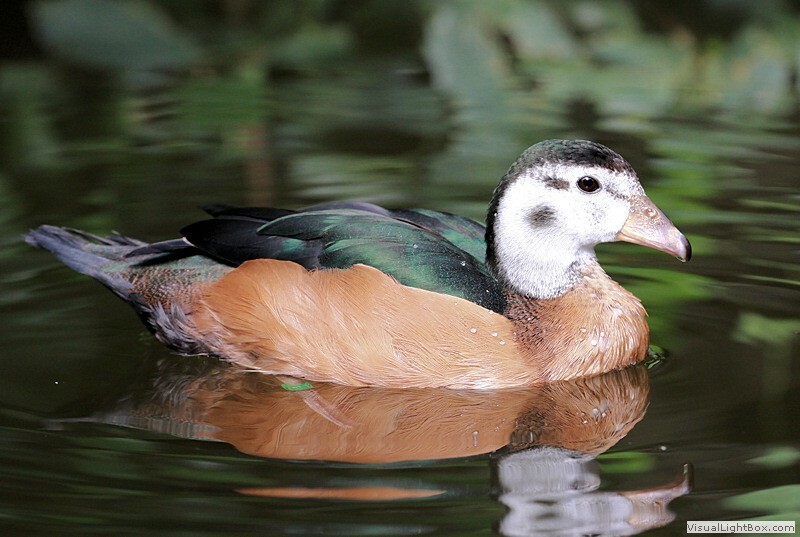 Identify African Pygmy Goose - Wildfowl Photography. 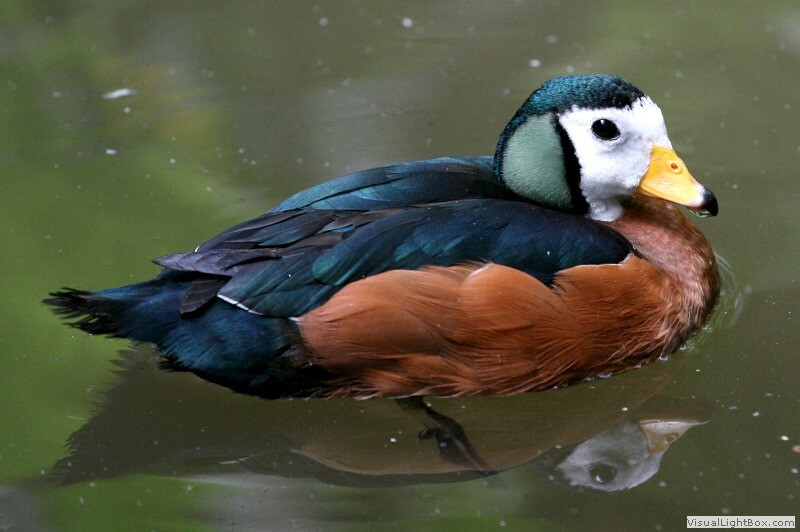 Male - The male Africa Pygmy Goose has a white head with metallic black crown and hind-neck, metallic green ear patches, brown-red eyes, bright yellow beak with black nail, the lower neck, breast and flanks are a chestnut-brown colour, a white abdomen, the upperparts and tail are metallic green-black, the wings are green-black with a white streak, the legs and feet are dark grey-black. 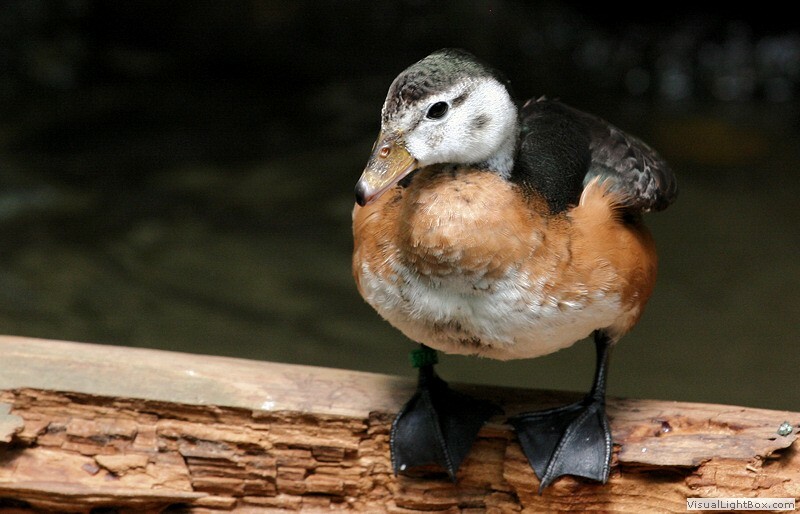 Female - The female is similar but has a duller plumage with dark eye-stripe, and greyish-yellow beak. 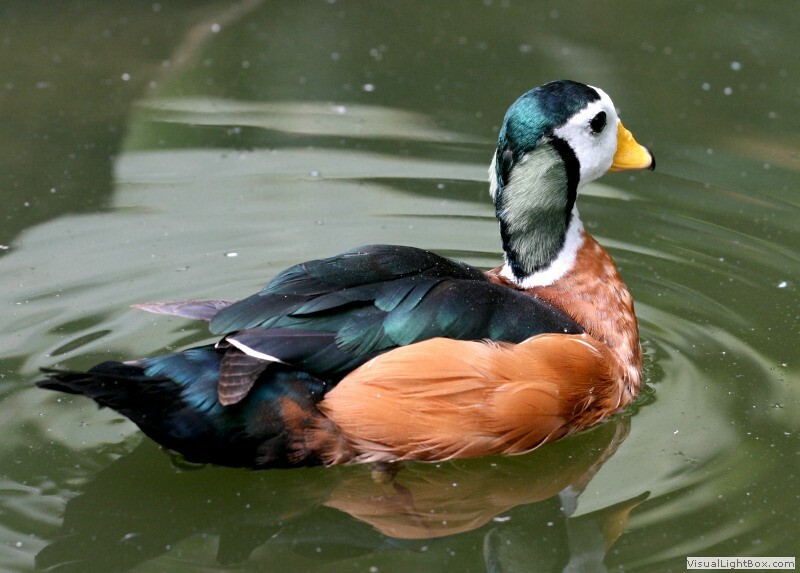 Size: - Typical Adult is 28-30cm (11-12in). 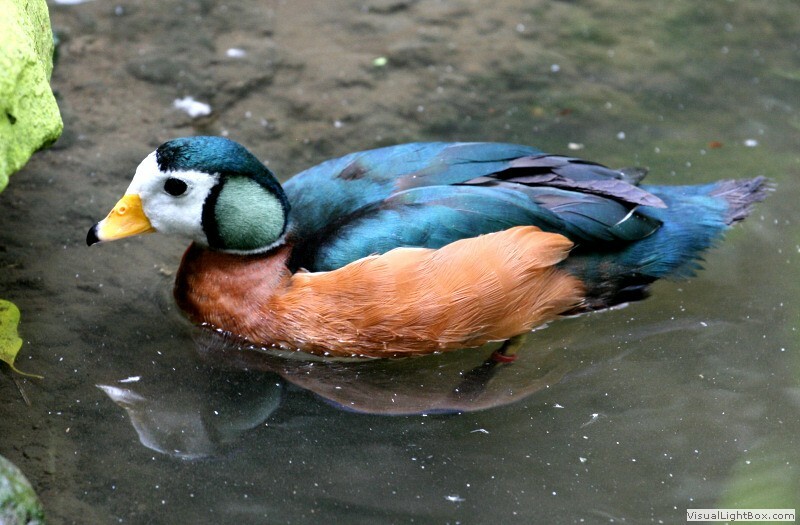 Food: - Aquatic plants - particularly water-lily seeds, roots, leaves, grasses, and some aquatic invertebrates. 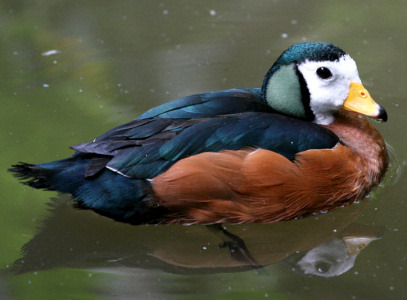 Habitat/Range: - Shallow lakes, swamps, slow-moving rivers with plenty of vegetation like water lilies in sub-saharan Africa down to South Africa, and Madagascar. 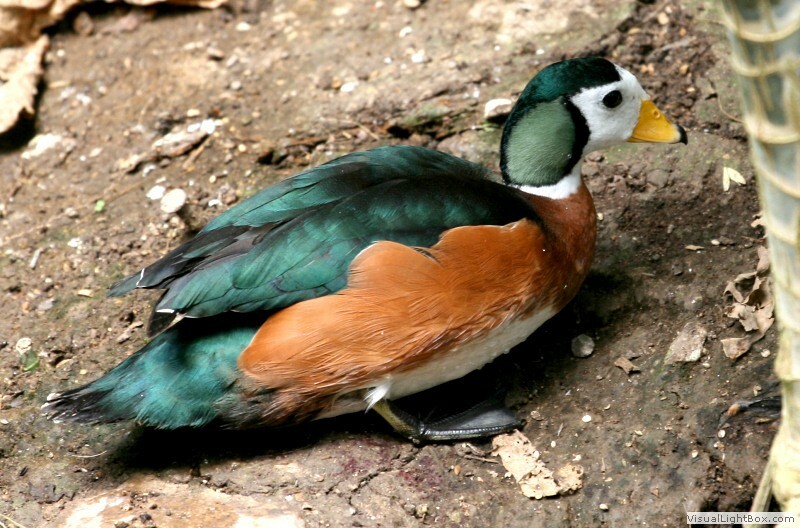 Breeding Season: - Varies depending on locality and start of the rainy season. 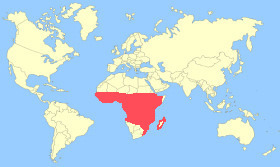 October to December in South Africa. 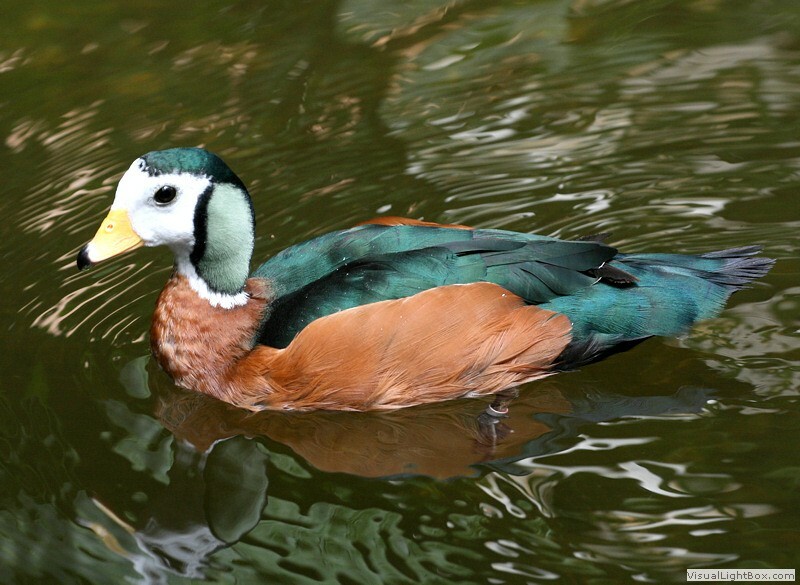 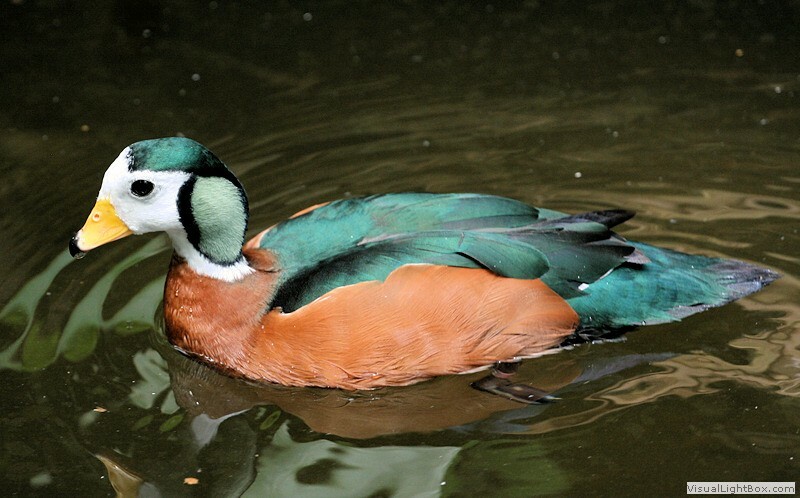 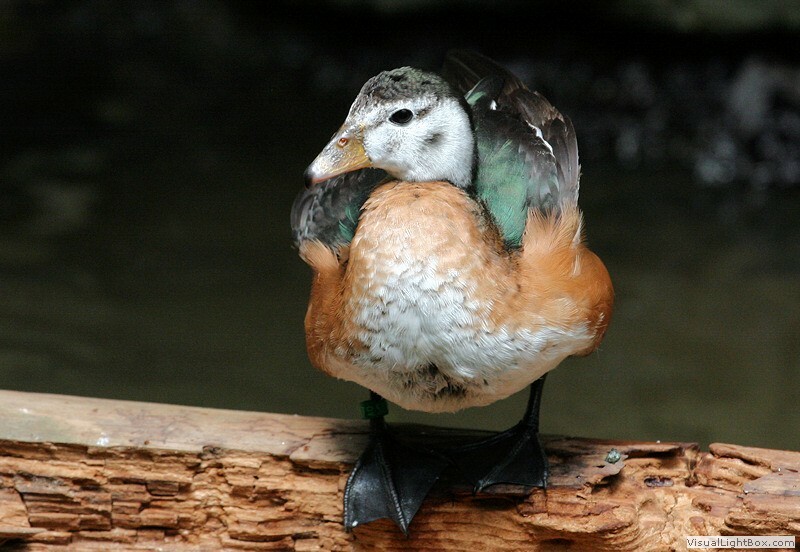 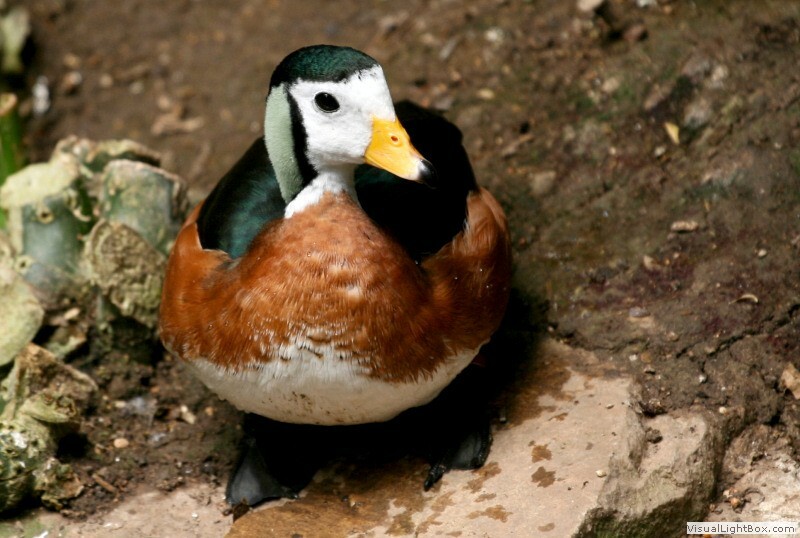 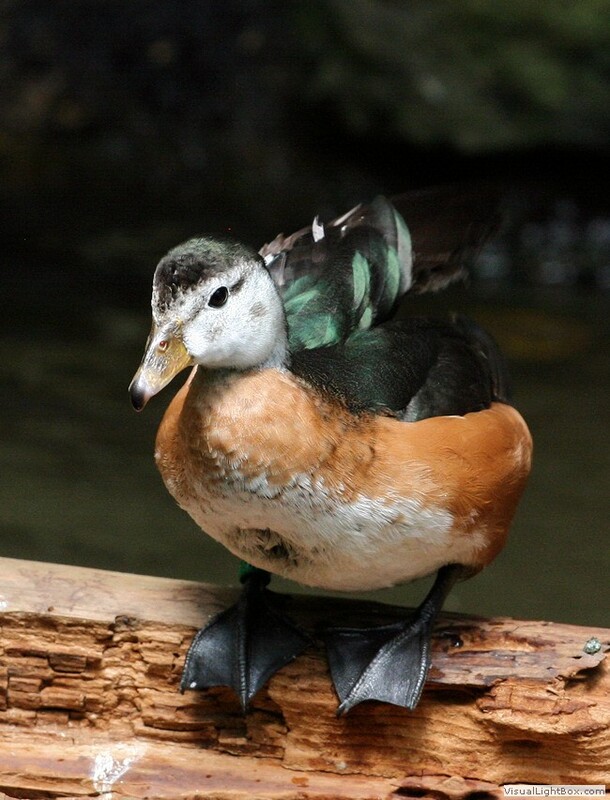 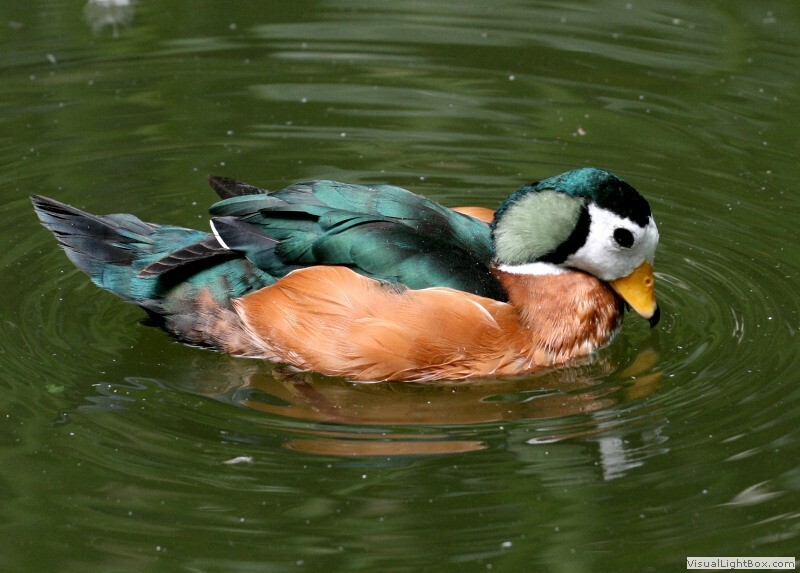 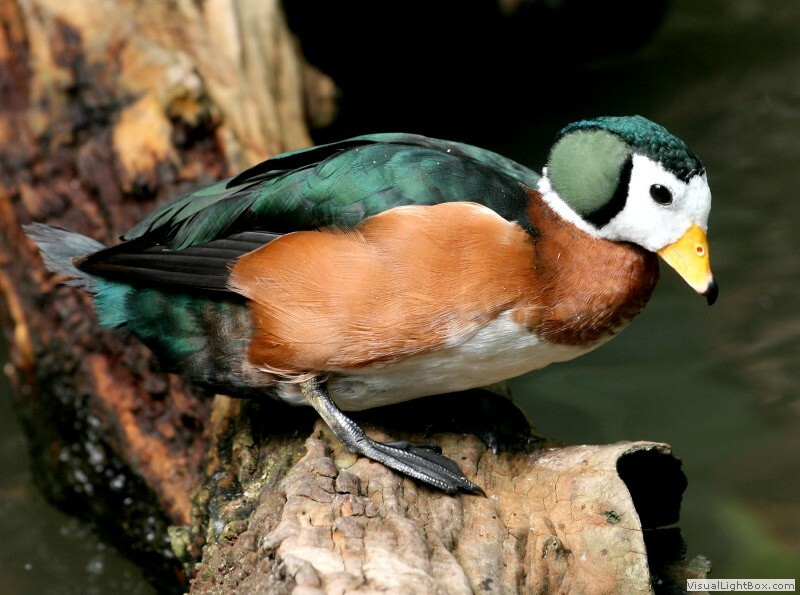 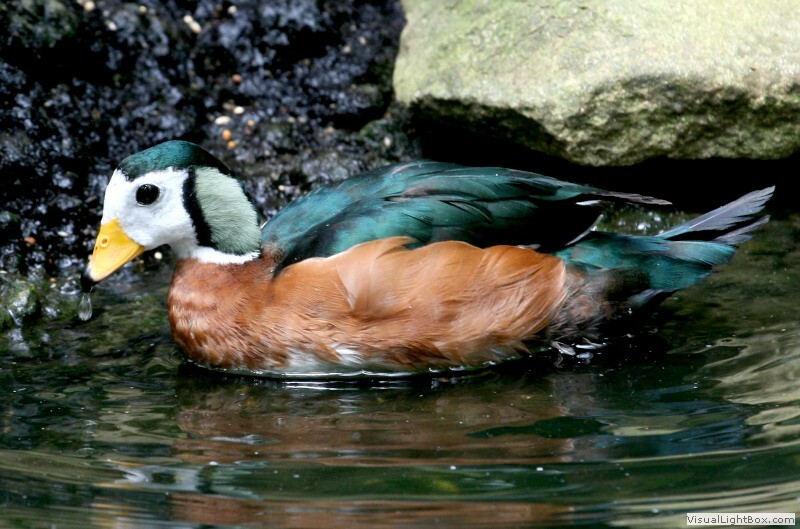 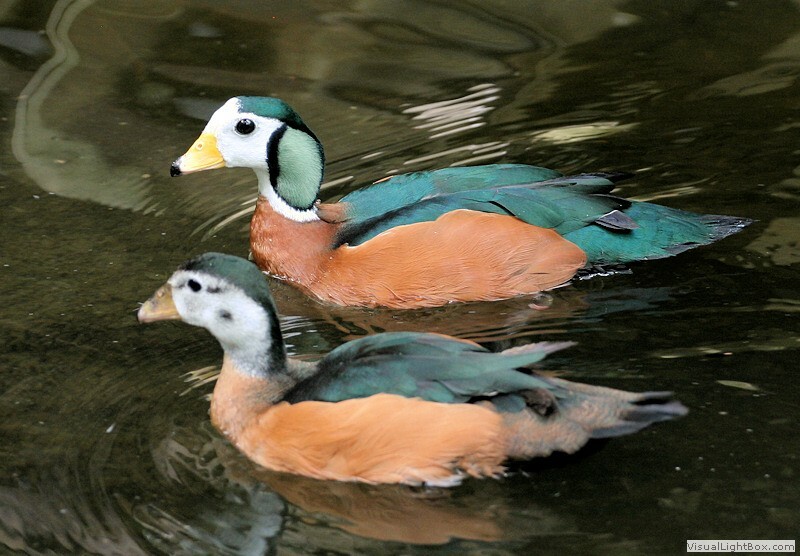 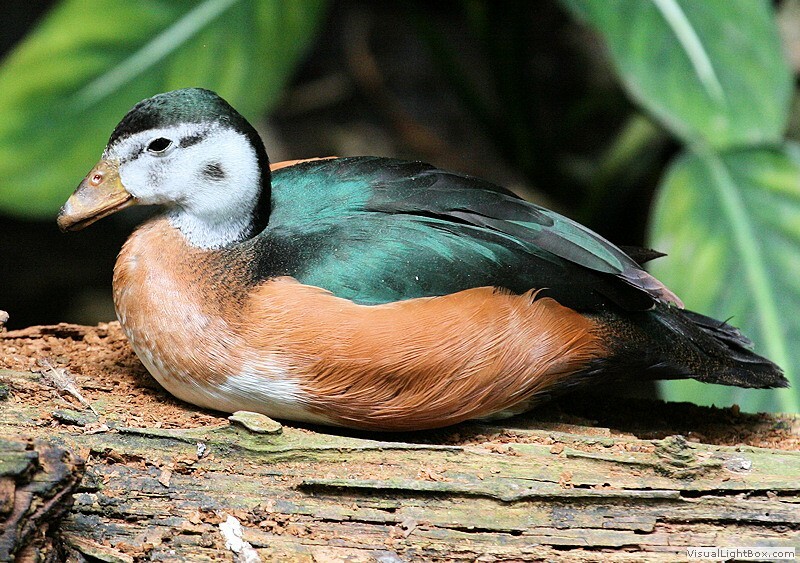 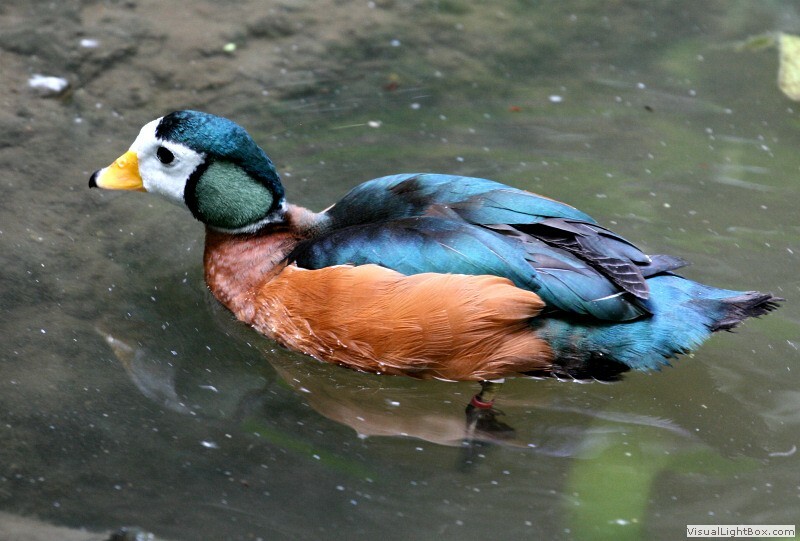 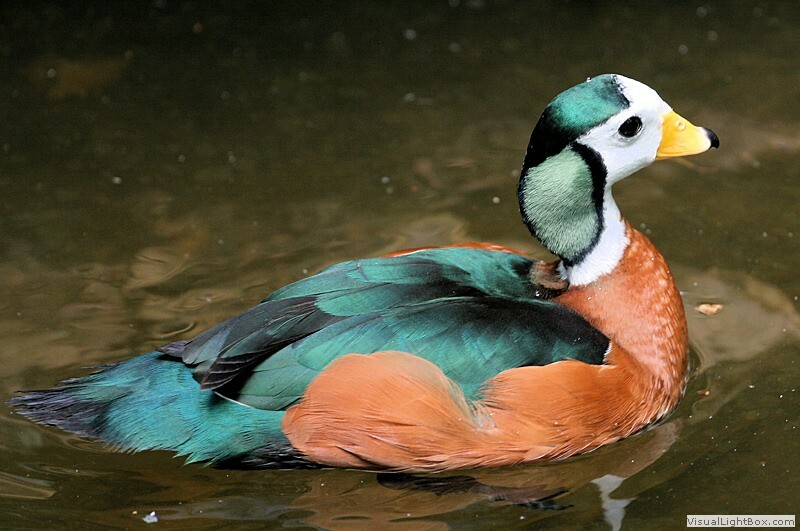 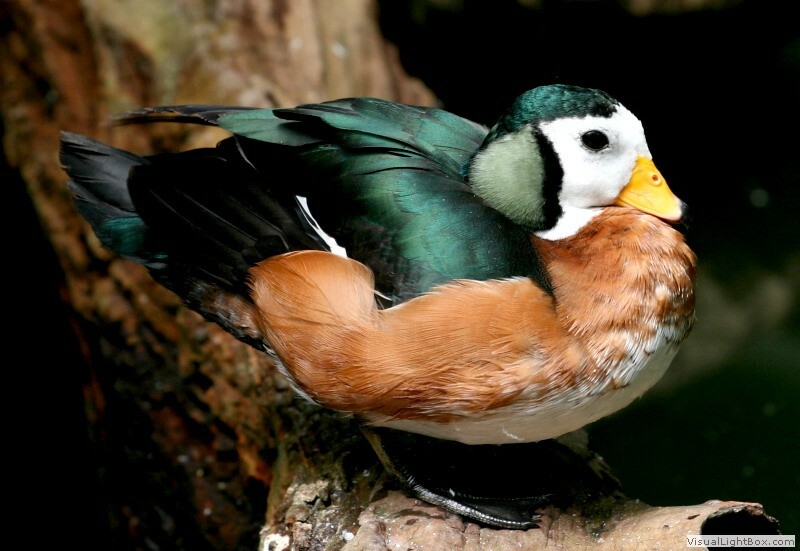 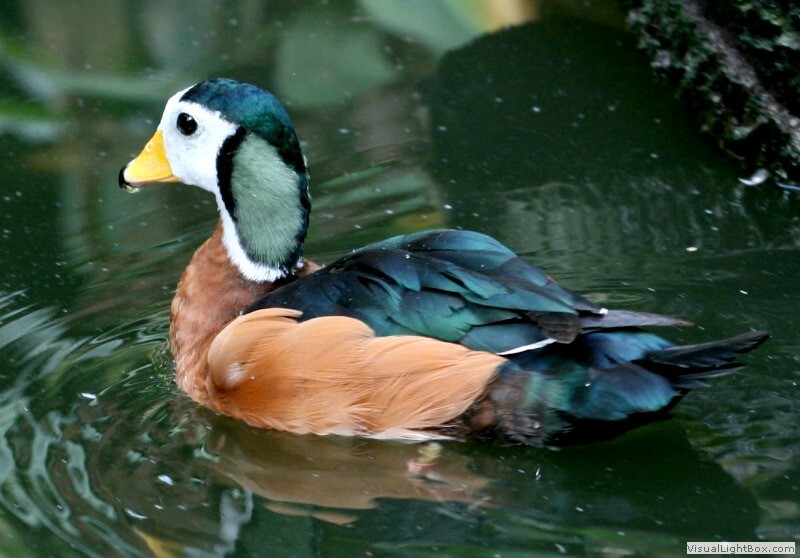 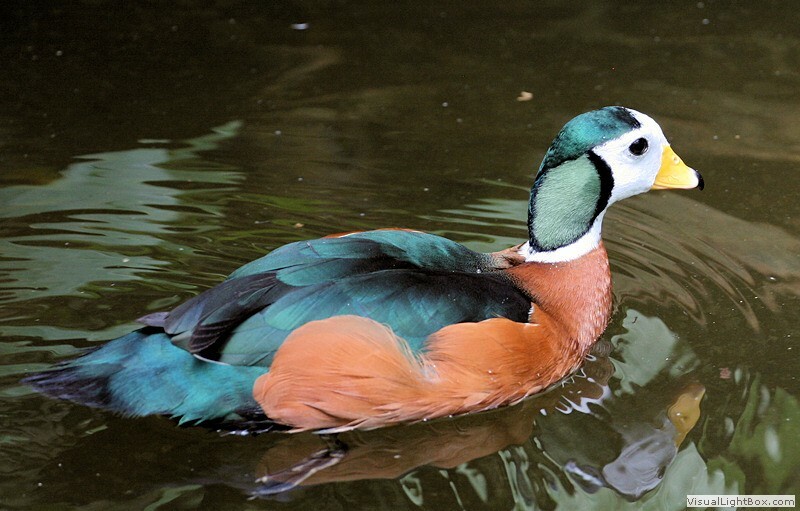 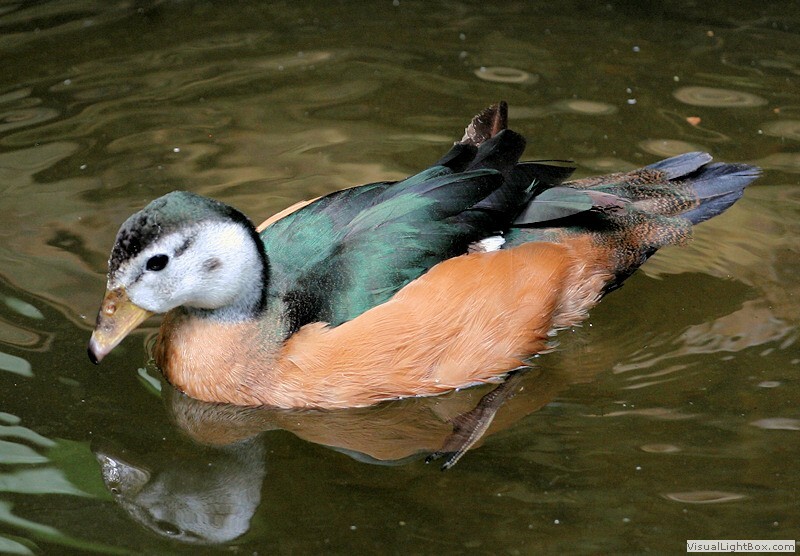 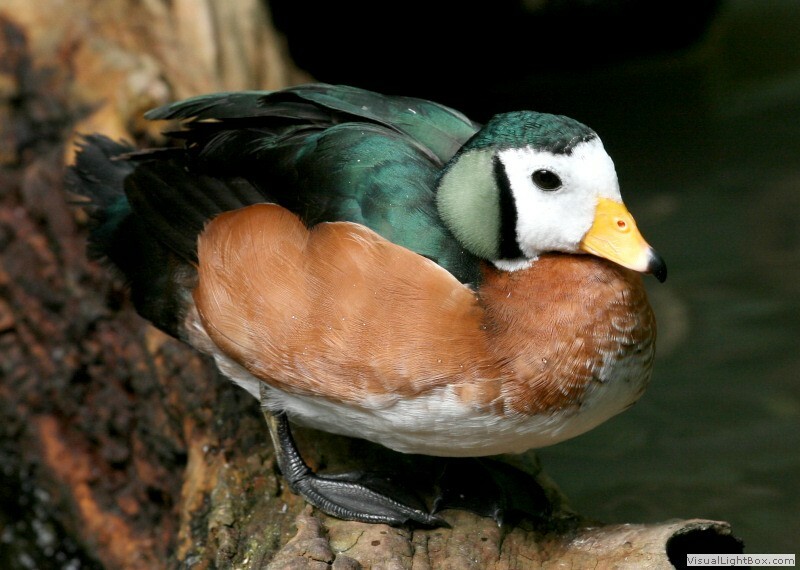 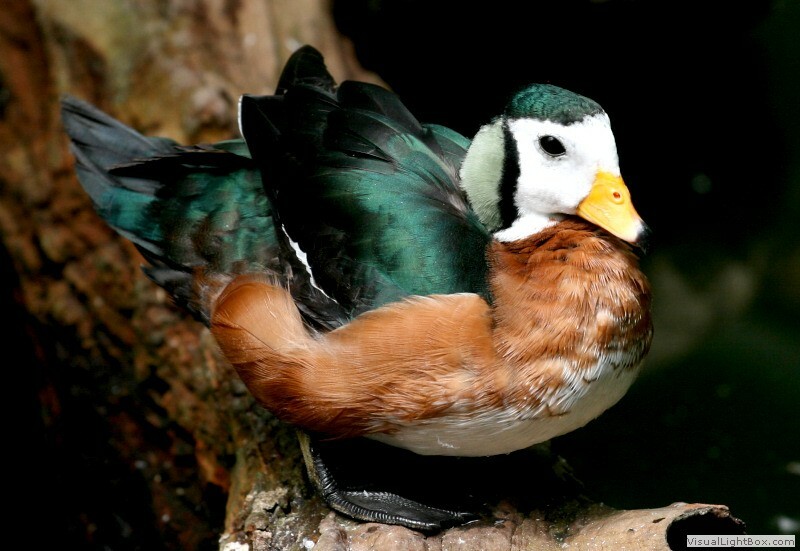 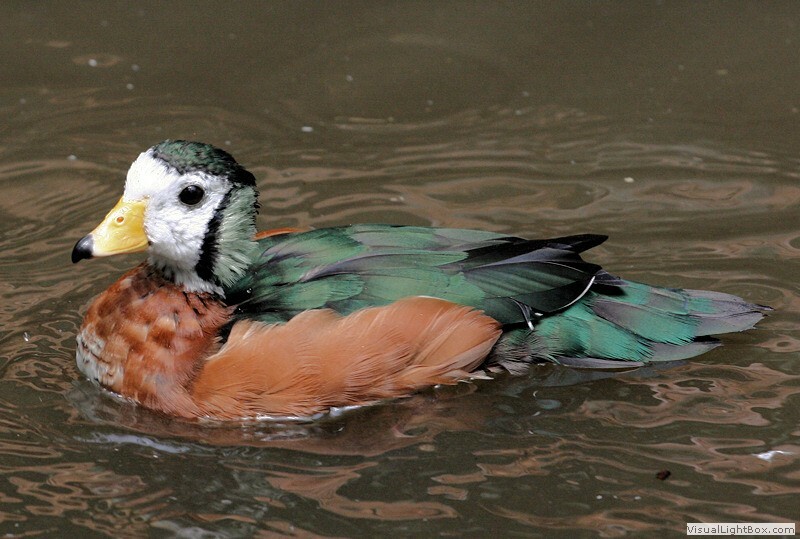 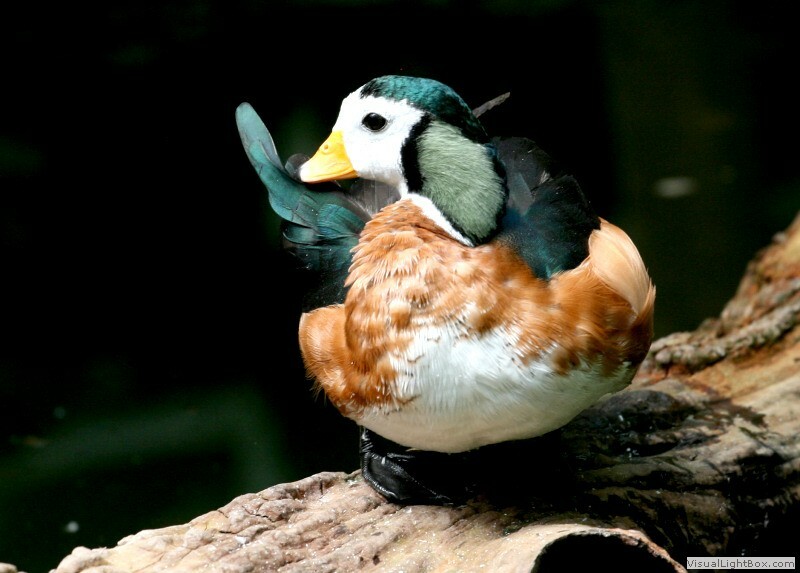 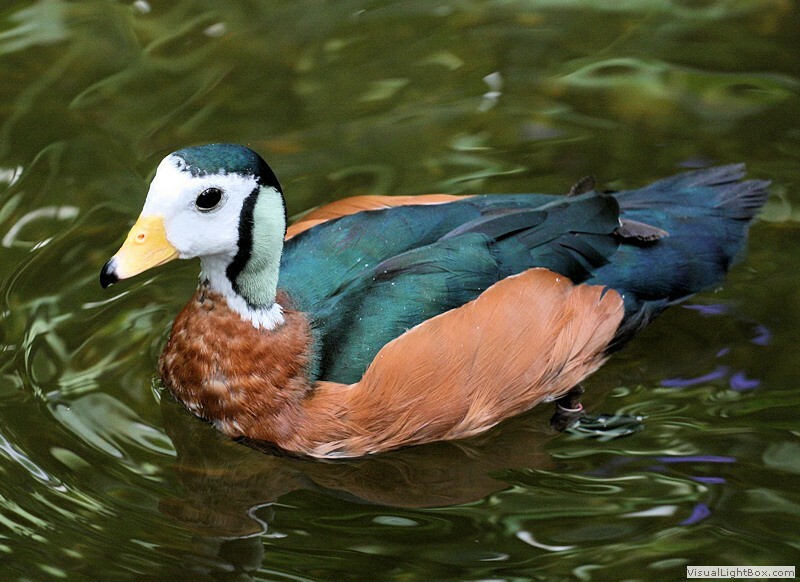 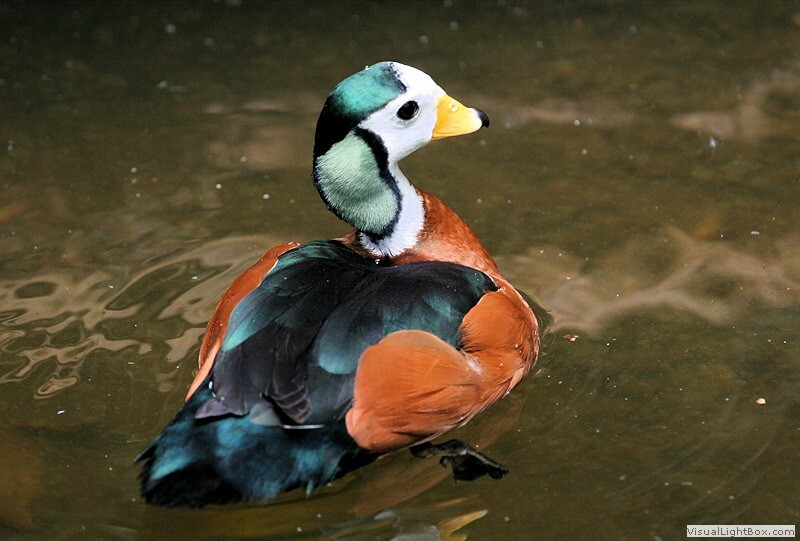 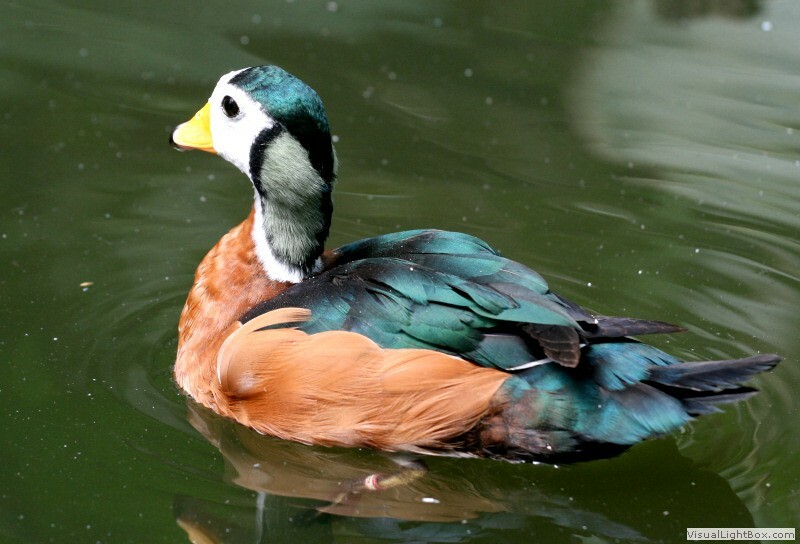 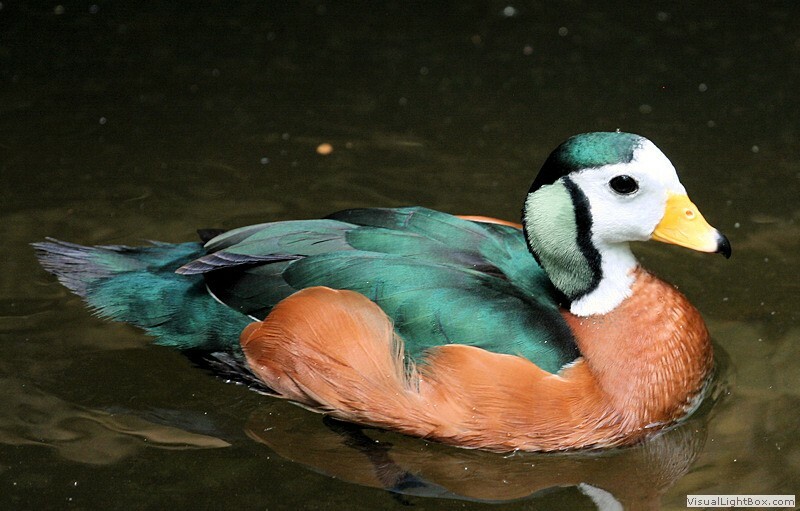 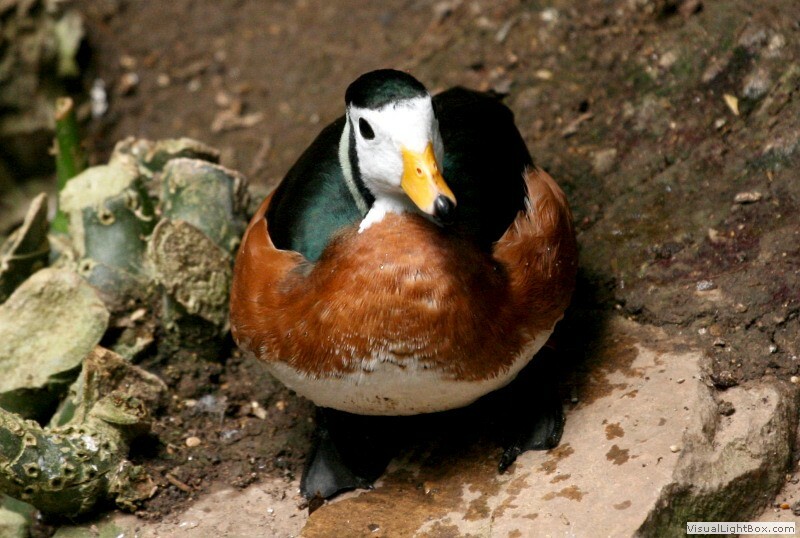 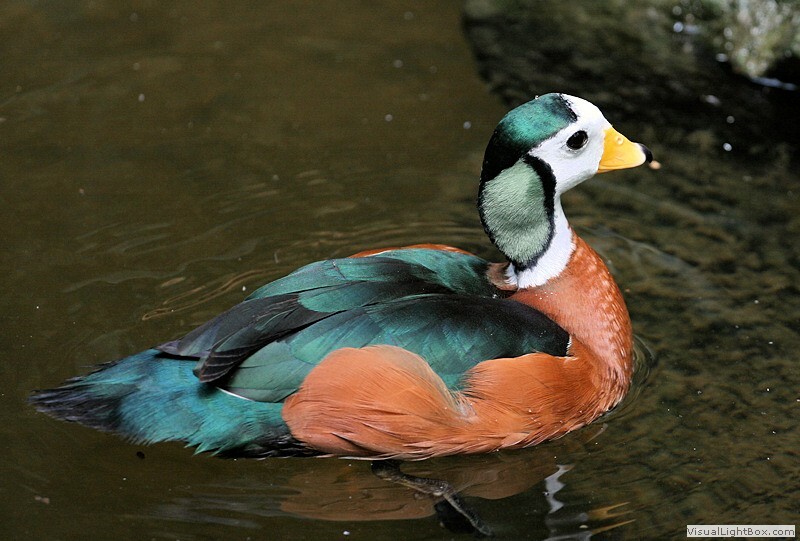 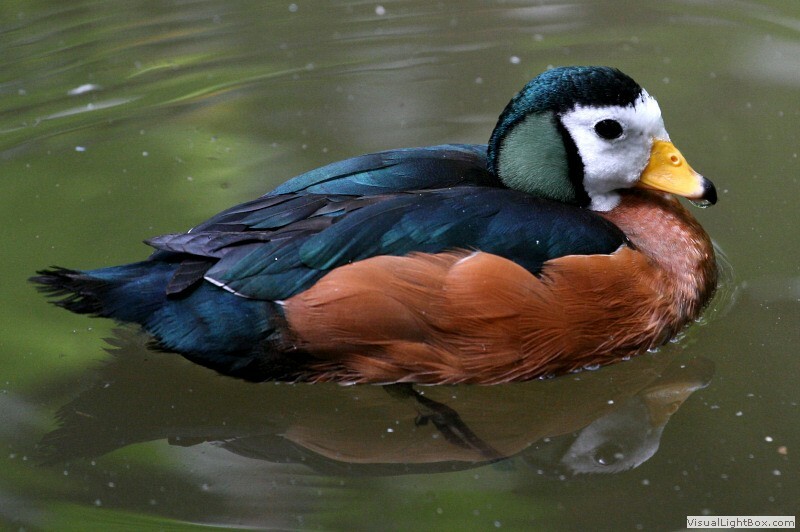 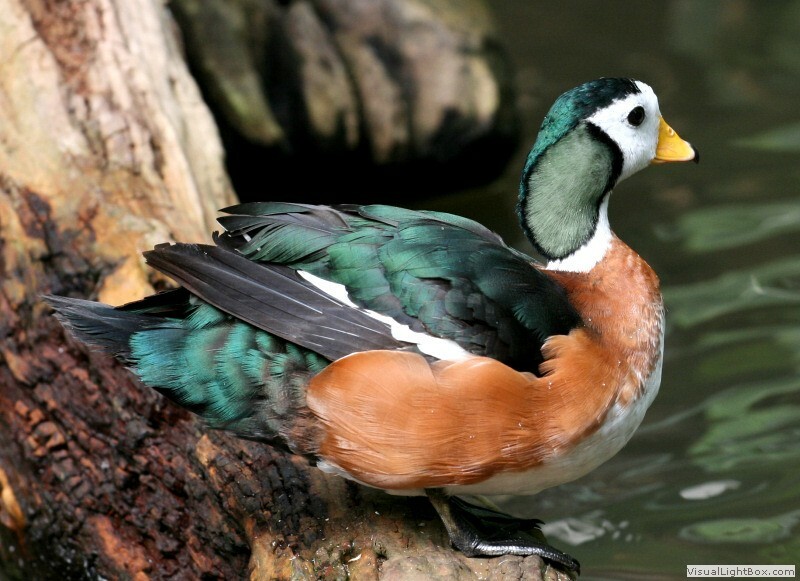 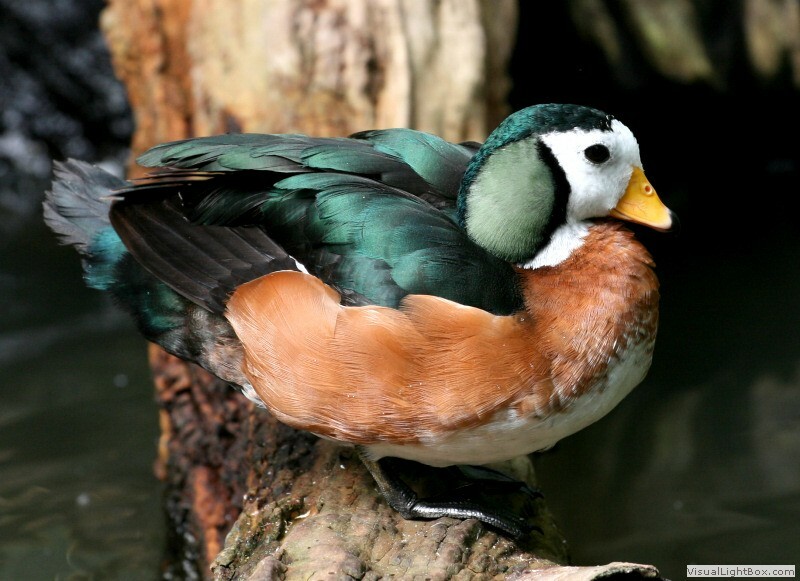 Notes: - The African Pygmy Goose is a small African perching duck and is actually the smallest duck in Africa. 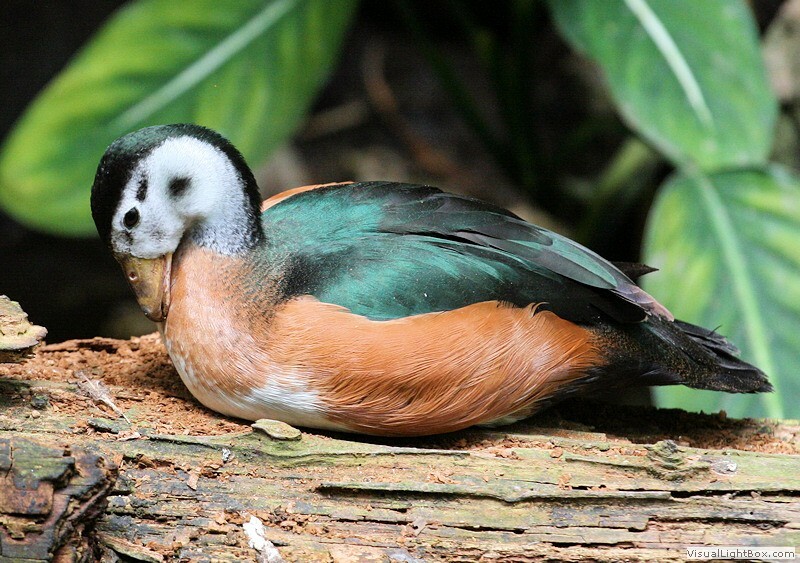 They usually nest in a tree hollow near water and will perch on the branch of a tree.